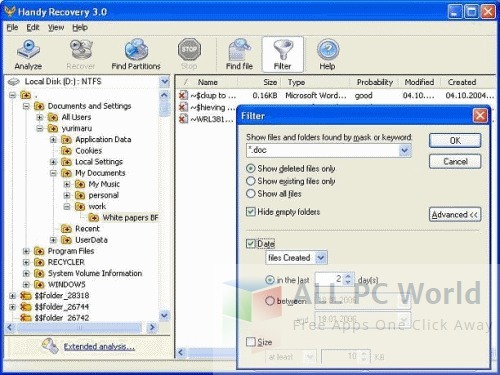 Handy Recovery is a files recovery tool that can detect and recover deleted files with any format. This free download is the standalone installer for Windows 32bit and 64bit. When you accidentally delete any file or folder, or you lose your files because of any virus then you must give a try to Handy Recovery Software. It is specifically designed to support all the partition types including FAT12/16/32, NTFS/NTFS5+EFS, and HFS file system. Different security features for creating recovery copies of complete hard drive allows recovering data when required. In case you are unable to find out the deleted file, this software provides a detailed scanning feature for detailed analysis of the drive. You can preview files and folders after recovery is specifically designed to ensure the saving of the correct file. A user-friendly interface is provided to make the software easy to use. You don’t need any technical knowledge to use this software. When you are recovering files, it shows the percentage of recovered data. 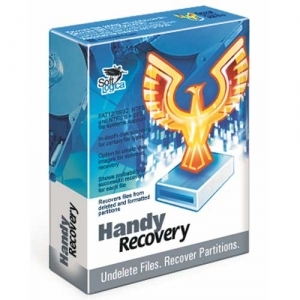 This wonderful tool also works on formatted partitions and it can also recover the structure of the erased files and folders. Click the below link to download Handy File recovery tool for Windows x86 and x64 architecture. It is compatible with all the latest and older versions of windows.